« The 33rd International Palace Games at Visegrád – 2017. Herald News – Rolling Mobile Barbecue for Hungry Folks! The SPAR Mobile Barbecue is on the road, a vehicle rolling along the country offering on the spot barbecued meats for local and foreigner customs. The food truck will not only be found at popular resorts, but will also present its delicious menus offering at festivals. 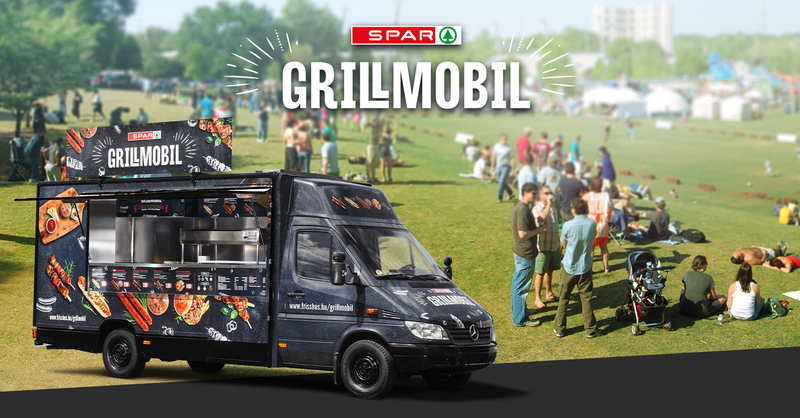 SPAR Mobile Barbecue rolled out with a new menu and quality drinks from Bicske this year, with the aim of launching a national rally to promote the quality of controlled quality meats. Barbecue is living its renaissance age in Hungary, enabling easy delicious and delicious food to be brought to the table of smaller and larger companies and families. SPAR has continually controlled quality meats that go directly to the department stores from the Bicske meat factory. SPAR sells more than 28 million kilograms of pork each year. Today, sell more than 30 kinds of grilled products, rich are highly appreciated by the customers. Unique in the market the product from domestic Angus cattle, specially processed. Mobile Barbecue offerings can be tasted at the SPAR store at Szántód, and at the food truck at the III. International (Bear Pleasure) “Sörömet” Festival at Szeged. The special vehicle will be rolling by in July after Váci Vigalom in several Balaton towns, Balatonfüred, Fonyód and Siófok, then the hungry audience have a bite or two at FEZEN at Székesfehérvár. The Mobile Barbecue rolling along last stop in the season with be at the Budapest Wine Festival in early September. Guests can enjoy Regnum Grill Dogs and Regnum Grilled Sprouts, as well as the great favorite of the past years, the rosted pig – pulled pork burger, featuring the two traditionally popular grilled dishes, Hungarian chives and pork chops. Along with yummy meals can enjoy delicious syrups and the excellent Hungarian wines. Does the rotten pig have a nice aroma Aggie ??? ?……..Looks like a great idea…Thanks.